The Summer months of 2016 are quickly approaching and the Devon Marquee Company is already in full swing! Last weekend was very busy for the team, with a varied selection of new marquees being put up at the Exeter Food & Drink Festival. Despite the first day drizzle, the festival went really well with this year seeing greater attendance, more stands and more variety of producers. 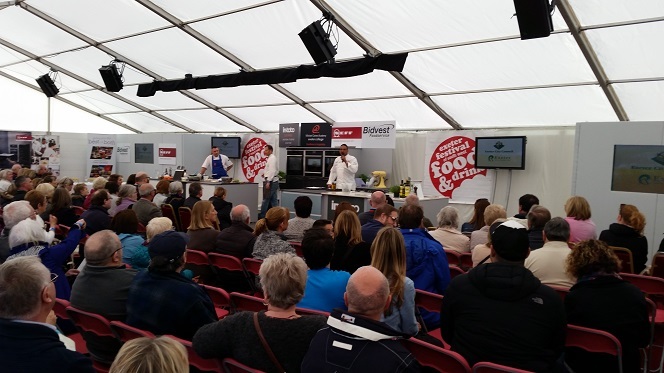 We were proud to show off some of our new clear roofing outside the cookery theatre where Michael Caines demonstrated his culinary skills to the masses.